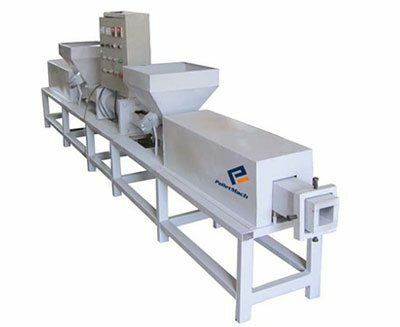 Pallet block machine is used to produce wood blocks for wood pallets, also called compressed wood block making machine. 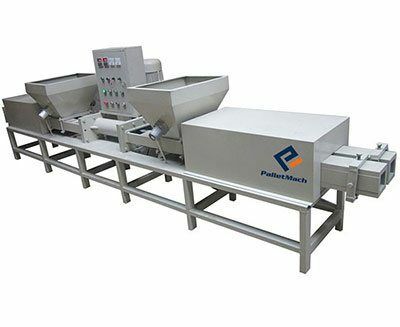 Pallet block making machine mainly includes three types of specifications: single-head pallet block machine, double-head wood pallet block machine, and triple-head hot press wood pallet block making machine. Free fumigation. Because the pallet block is made by hot pressing, it is free fumigation. 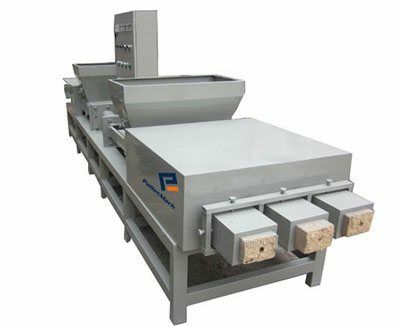 Pallet block machine could recycle the wood waste efficiently. Easy to operate. One person could handle 3 machines. The density of the final product could get to 550-1000 kg/m3. 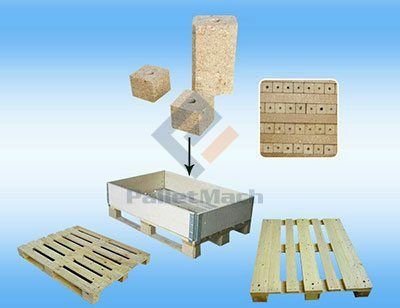 Pallet block size is 90*90 mm, 90*100 mm, 100*100 mm, 80*90 mm. If you have special requirements, we could customize, while it is at the range from 75 mm to 145 mm. Besides, one machine could make two different sizes block. 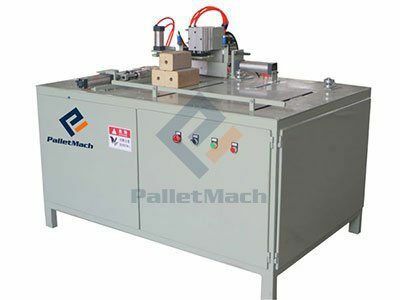 How does pallet block machine work? The hydraulic cylinder provides high pressure and pushes the piston to extrude and mold the materials. The heating of the heating plate at the high temperature promotes the solidification and molding of urea-formaldehyde glue. Cutting according to a certain length (usually around 1.2 m). After cooling, cutting the long wood strips of half-finished products to the final size. View video in Youtube, The block is used to make the wood pallet base, which is for the transportation or storage pallet. The final product could get the E1 grade. The pallet block could be solid without a hole in the center, and also could be hollow. Block size: 75-145 mm in width, 75-145 mm in length. Customized by customer required. High precision: totally vertical, smoothly for intersecting surface. High efficiency: cut blocks in 1800pcs/h, can work in 24 hours. Easy operation: 1 worker can handle. Low cost: little waste in cutting loose. Size adjustment: can cut into a different size of block. Safety: worker no touch to saw in the whole process.